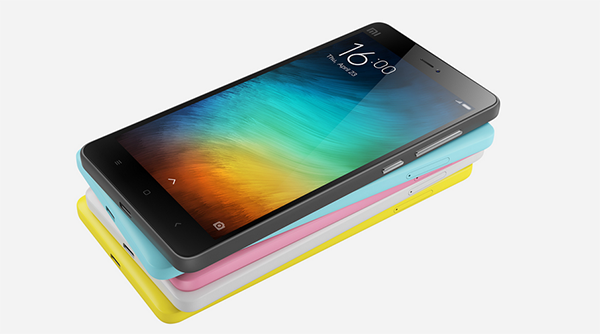 Xiaomi is set to launch its latest smartphone, the Mi 4i, in the Philippines this month, the company has confirmed through its Facebook page. Although there's no fixed date yet, Mi Philippines already posted two teasers about the upcoming event. "We're launching something this July that will make you want to say "i Do." Do you know what it is already?" was its July 13 status message. We're launching something this July that will make you want to say "i Do." Do you know what it is already? :) Don't forget to hit that share button to let friends know what's coming from Mi! "In case yesterday's teaser left you wondering, here are four fill in the blanks clues from Mi," the page posted on July 14. The 4 clues, in which the blanks can be filled with the letter "i," made it so obvious that the product to be launched is the Mi 4i. When Mi fan Marvin Bundang commented that "i is the answer. pls mi ph. release the mi4i. its been several mos since it was launch in other countries. pls be fair this time," Mi Philippines replied: "Yes, sir! This month na po." Many Filipinos are not yet familiar with Xiaomi products as the company does not have physical stores in the country. They only have what is called "MARs" or "Mi Authorized Resellers" in various malls in Luzon, Visayas and Mindanao (view the list via Google Maps). But once Xiaomi puts up stores and begin promoting the Mi 4i, we believe that they will become a competitor in the mid-range sector. It's because the Mi 4i has great specs and features, not to mention that it's affordable. The Mi 4i comes with 5-inch Sharp/JDI full HD display with 1920 x 1080 resolution at 441 PPI, Snapdragon 615 64-bit octa-core processor clocked at 1.7GHz, 2GB RAM, 16GB storage, dual SIM support, LTE, 13-megapixel Sony/Samsung rear camera, 5MP front camera, 3120mAh lithium-ion polymer battery, and MIUI 6 on top of Android 5.0 Lollipop operating system. As far as we know, the drawback is that its LTE only works with Globe. Potential buyers are surely eager to know if the units to be sold in the Philippines will be compatible with Smart's LTE network.